World Cup, that they planned an armed uprising and were “stirring up the masses for further destabilisation of the political situation in the country”. It says that defendants had assigned roles (leaders, communications personnel, sappers and ideological officers), discussed their plans on social media and held minuted meetings about them. The defendants, their parents who have spearheaded protests, and other supporters, say the case is a frame-up. They say that confessions made under torture are not credible, and that the defendants have been targeted for their beliefs. In January 2019, one of the accused, Igor Shishkin, was convicted and sentenced to three and a half years by a special military court session in Moscow, after agreeing to cooperate with the prosecution. Shishkin, too, was tortured, according to a report by Public Monitoring Commission members. 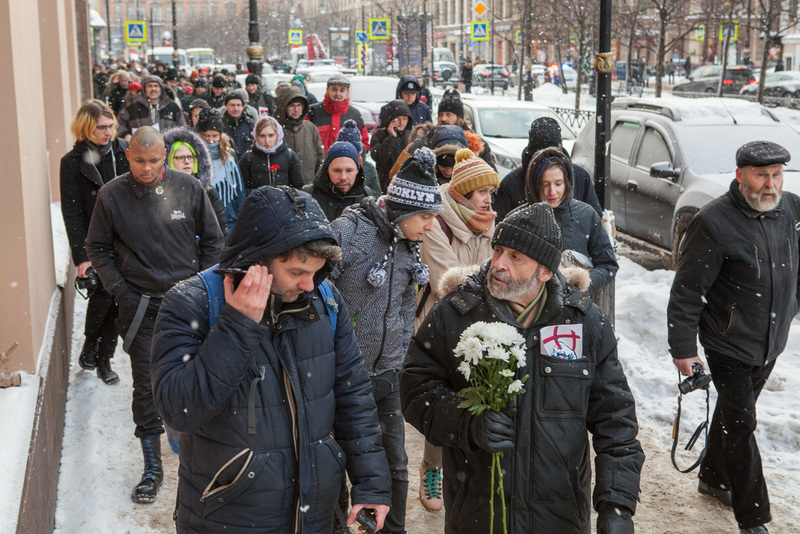 In February 2019, activists feared a new round of arrests was starting, when a group of people were detained in Moscow. One of them, the anarchist Azat Miftakhov, was tortured in custody. While state TV channels broadcast news of his interrogation, his lawyers were unable to get access to him for a day and a half. The war in Ukraine is the ground in which the new wave of repression in Russia itself has grown. In Ukraine, the right-wing tinpot regimes set up in 2014 – the Donetsk and Lugansk “people’s republics” – survive thanks to the Russian state’s military, political and economic support. In Russia, the war against “enemies within”, and the criminalisation of dissent, is facilitated by nationalist hysteria against the Ukrainian “enemy without”. This Russian case is “not a far-away exotic reality”. Russia shows us “the shameful future of a capitalist society that went through a series of geopolitical, economic and political crises, severe austerity measures and a rapid dismantle of the welfare state”: it is a mirror of other European countries’ fate, if austerity on one hand, and the rise of the far right and xenophobia on the other, go unchecked. GL, 9 February 2019. ■ The organisers of the 19 January event in London hope to build on it with further solidarity actions. For more information please email london19jan[at]riseup.net and look at the facebook event. ■ This article was first published in Red Pepper. This entry was posted on Sunday, February 10th, 2019 at 10:43 am and is filed under Social and labour movements. You can follow any responses to this entry through the RSS 2.0 feed. You can leave a response, or trackback from your own site.